I'm doing yoga, coaxing my body into poses it hasn't known since before marathon training began in earnest. I'm willing my body to relax, to bend as it has before. I breathe in deep, raising my hands up above my head. I dove-tail them down to my toes only I stop far short. My muscles are still too tight, too knotted. They are still pounded into the formation I have given them by so many roads, so many miles, so many paces. I understand how they feel. Repetition of the same actions, the same behaviors, the same nodding of yes to the criticisms I hear or perceive have left me tight, knotted, twisting my heart into a formation not designed for me by my Maker. I have taken the words of others and I have pounded them into my very being, making them a part of my flesh, wearing them as badges of my unworthiness or inability. They are proofs of all my "can'ts" and failures and heartache. They travel with me every mile of my life. As much as I want these criticisms to be detachable as my headphones are from my ears, they weave themselves into the fibers of my muscles and walk with me daily. How long have I bowed to criticism? And not just the words from others, but the words I tell myself? I pedal my feet, stretching my worn calves, and bring myself back up to standing. Why do I let criticism become the end of my joy? Why do I let it hold unlimited power to destroy my spirit, my passion, the gifts God has given me? It cowers me. As much as I don't want to, I bow to it every single time, not even realizing the depths to which it makes me stoop. I reach for my leg and pull it into a triangle against my other leg, the one rooted, the one designed at this moment to support all of me. I clasp my hands together in prayer position and pull into my heart. My eyes focus on what in front of me, which happens to be the air conditioner control. I imagine a pretty picture there for a moment, but God interrupts me. He directs my attention to the up and down buttons, the ones that change the temperature. What am I going to let push my buttons, regulate my insides, and consequently, influence how I treat those around me? My wounded heart is not a very good reflection of my true self and intentions. And I have let myself be wounded far too often. Criticism shatters me, sometimes beyond recognition, and I feel Him moving me into this place of uncovering why I have let this happen time and time again. He doesn't want me to stay shattered. He fights for my wholeness. He doesn't want to leave one stone unturned, one door remained closed, one inch of darkness unexposed to His Light. Why do I crater and cower at criticism? 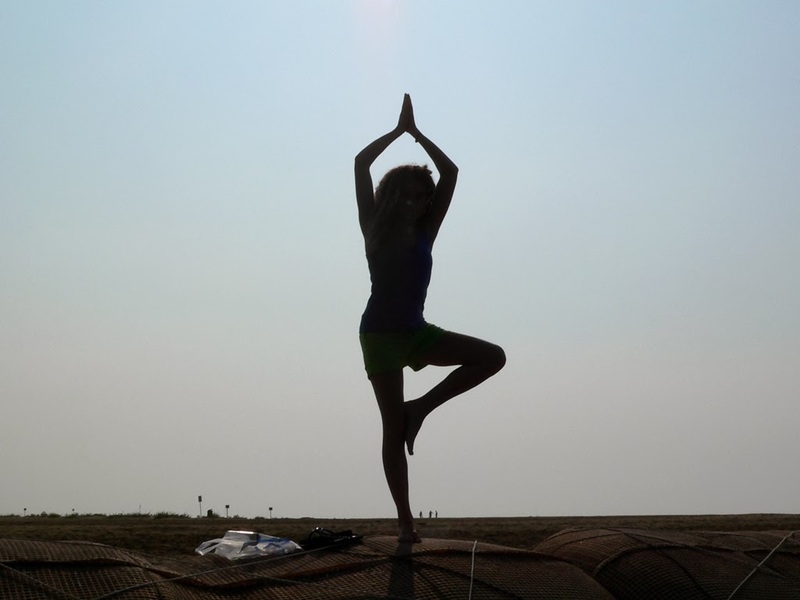 I'm still in Tree pose and I close my eyes. I close my eyes and I immediately start to falter and I quickly grasp onto this: I can not go through this process of laying down this idol in my life without having a clear view of Jesus. To close my eyes, to shut out my vision of Him, is to walk in darkness. It is in darkness that I falter. You would think that because I know the power beheld in critical words and glances (because can't we be just as critical with our eyes as we can with our mouths? ), I would avoid dishing out the criticism. But this is not so. Perhaps criticizing others brings some sort of sadistic relief to me, to know I am not the only one cloaked in shame, not the only one who is wrong, not the only one in danger of losing love and affection. And it is here that I uncover why criticism produces an outpouring of shame in me. It is my fear that if I am wrong, if what I produce is not good enough, I, myself, am not loved. I am terrified of my own book release, that my words will be trampled, my story useless, my conclusions benign. I am terrified of horrible things not yet said, the reviews that tell me it's less-than, the knives shredding our story apart. And I know that if I do not let Jesus enter into this space, I will be destroyed. "Friend, where have you twisted love into a false god? Where have you gone looking for love, approval, and respect?" And I think: When did I begin to accept that love was as conditional as I have made it? When did I allow it to be up for grabs so easily? Why would I ever tie in my inability to be perfect with my ability to be loved? The Love Idol Movement is one where we lay down our love idols for Lent, and hopefully, forever. And in return, we pick up our stamp of pre-approval, the truth that we are loved and lovable no matter how many times we are wrong, no matter how many flaws we have, no matter how many wounds the world inflicts upon us. I'm laying down criticism. I'm laying down the words and thoughts I use to measure others and their work. I'm laying down the words and thoughts I use to measure myself and my work. I'm opening up to believing that I am "pre-approved," all parts of me, no matter what the world says. And this will be hard. Hard because extracting something that seems to be in the very fiber of my being seems like a ridiculous, impossible task. And yet, nothing is impossible with God. My prayer is that God would continue to reveal to me why the disapproval of the world makes me feel so ashamed. My prayer is that God would help me to separate my worth from what I do. My prayer is that I would learn a different language to use with myself, (and my family, too), one that communicates unconditional love and not hyper-criticism. And my prayer is that if you struggle with a Love Idol, that God would use Jennifer's story and many other breaths of His Holy Spirit to show you how to lay it down. Because He is the One to be worshipped. He is the One who can fill. He is the One who can love like no other. Linking up with Emily for Imperfect Prose, Jennifer Lee for #tellHisstory, Michell for DYWW, Women to Women , Sharita for Everyday Jesus, Lyli for Thought Provoking Thursday, Amy for #RiskRejection, and Laura for Quitting Thursday. This is a brave post that is going to make a difference - in you and in others. I'm so proud of you and what you're letting God do through you. Love you! Sometimes Satan really does a number on us, obscuring us from Truth, or Truth from us. But. NO. More. You are just beautiful. Love this. So. much. I love this so much. you are so damn (sorry) brave that it is inspirational. Strong words. We could all fast from criticism. I can't wait til your book come out ... I have a friend who needs it. I desperately struggle with those same thoughts and feelings, its the part of me that feels worthless and unworthy. But this is what God's been up to in my heart lately. what if in all this acceptance business, all He wants is for us to be content with His approval of us? It's the working out our salvation for His purpose and pleasure that is to be accomplished. I think you're amazing. you've got this! Yes, the working out of HIS PURPOSE. Yes!! I have read a few of these love idol posts and this one really hit my heart where it counts. With tears, I say thank you for sharing your truth because God really used you to speak to me tonight. I am going to pray for the means to get this book as I think there are some things I need to hear and face. I just feel so blessed to read these posts. Lori, you let me know if you don't get the means because I all make it happen! I so appreciate your words! Awesome, awesome, and beautiful shot of y-o-u. Love this. And you. And your sweet heart. Ya know what I loved about this, Jen? 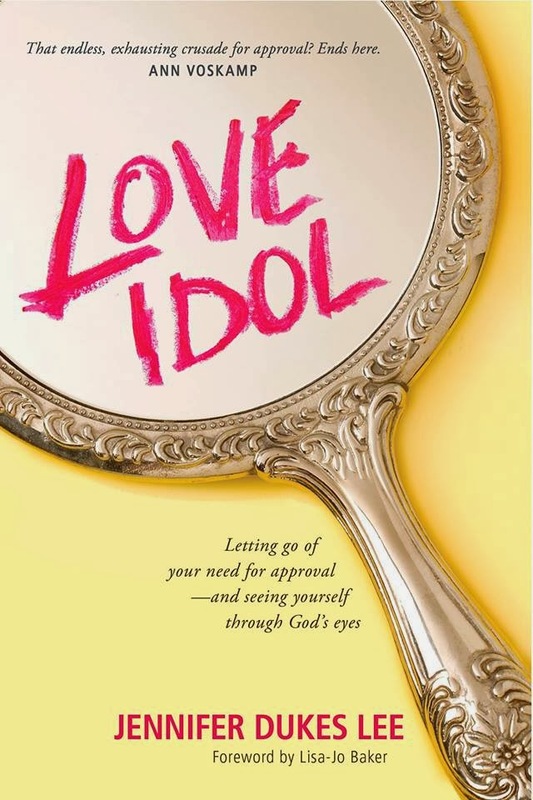 The title--"Love Idol LAY Down"--because you're making a choice to lay it down, not smack it down or do it by force, but leave it at the feet of Jesus, so you can see His face, smiling back at you. You are a brave girl. And I'm with Glenda--Jesus has His time for your story, 'cause there are people who will need it. You are brave in your admission & I love your photo. God is doing an amazing work already. May we not emerge at the end of this journey the same! Blessings!